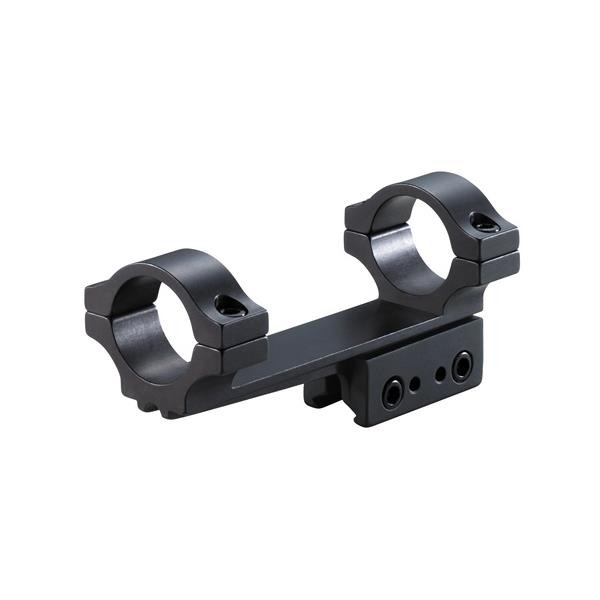 The BKL Technologies BKL-254H High 1 inch, 1 Piece 4″ Long Cantilever Scope Mount with 1-5/8" Clamping Length is versatile and has a one piece design which provides flexibility for eye relief adjustment and mounting applications. A longer version of Model 253, and a taller version than the standard Model 254, this mount allows for additional overhang and scope adjustment between rings. Rings from the BLK-200 range are designed to fit all standard 3/8" rimfire and 11mm airgun dovetail rails. This awesome one piece mount fits 1” scopes.